Lee Kuan Yew was born in Singapore on September 16th 1923 in a wealthy and rich Chinese family. He was a fourth-generation Chinese Singaporean. His Hakka great-grandfather, Lee Bok Boon (born 1846), emigrated from the Dapu county of Guangdong province to the Straits Settlements in 1862. The eldest child of Lee Chin Koon and Chua Jim Neo was Lee Kuan Yew who was born at 92 Kampong Java Road in Singapore, in a large and airy bungalow. As a child, he was strongly influenced by British culture because of his grandfather, Lee Hoon Leong, who had given his sons an English education. 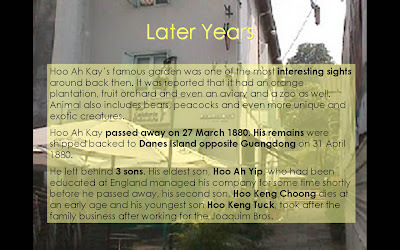 His grandfather then gave him the name of "Harry" in addition to his Chinese name (given by his father) Kuan Yew. Thus Lee Kuan Yew is known informally as "Harry" to his close friends and family and his name is sometimes called as Harry Lee Kuan Yew, although this first name is never used in official settings. Several members of Lee's family hold prominent positions in Singaporean society, and his sons and daughter hold high government and government-linked posts. His younger brothers, Dennis, Freddy, and Suan Yew were partners of the same firm. He also has a younger sister, Monica. Lee has consistently denied charges of nepotism, arguing that his family members' privileged positions are based on personal merit. However, these charges have persisted and international publications such as The Economist, International Herald Tribune and the Far Eastern Economic Review have been threatened, sued or banned in Singapore for implying the existence of nepotism. Lee Kuan Yew was educated at Telok Kurau Primary School, Raffles Institution, and Raffles College. His university education was delayed by World War II which occurs from the 1942 to 1945 Japanese occupation of Singapore. During the occupation, he operated a successful black market business selling tapioca-based glue called Stikfas. Having taken Chinese and Japanese lessons since 1942, he was able to collaborate as a transcriber of Allied wire reports for the Japanese, as well as being the English-language editor on the Japanese Hodobu from 1943 to 1944. After the war, he studied law at Fitzwilliam College, Cambridge in the united Kingdom, of which he became an honorary fellow, graduating with Double Starred First Class honours, and briefly attended the London School of Economics. He returned to Singapore in 1949 and work as a lawyer in Laycock and Ong, the legal practice of John Laycock, a pioneer of multiracialism who, together with A.P. Rajah and C.C. Tan, had founded Singapore's first multiracial club open to Asians. Fifty years ago on 21 November 1954, a group of young men and women launched the PAP at the Victoria Memorial Hall. They had a clear mission: to fight for independence and build a multi-racial Singapore based on justice, equality and democracy. 1. He built a building of Singapore which one of the world wealthiest building, despite the current economic turmoil. However, historically, Singapore always had good infrastructure; as a crown colony and an entrepot, it had a head start. Lee merely pushed this city state to its full potential. 2. Lee Kuan Yew was the president of a one-party system (PAP), and worked hard to keep it going on. So in a sense, he fought against democracy, since he effectively disallowed opposition parties. On the other hand, he had successfully converted Singapore from a third world country to a prosperous international place. That's the dilemma of his rule. Lee Kuan yew fought for independence from the British so that Singapore will no longer be controlled by a British and be a independent country. Lee Kuan yew introduced the CPF (Central Provident Fund) for those that had retired from their job and they could still get an amount of money every month for survival. He said although Singapore is small in size but we shouldn’t bow our heads to those bigger-sized countries. For example, we have a better army. He also said that to transform Singapore to what we are today, we need a strong government and their loyal government offices. He was very sad when Singapore separated as he believed that Malaysia and Singapore are connected. Therefore should merge. “For me, it is a moment of anguish. All my life, my whole adult life, I have believed in merger and unity of the two territories." He means that although our island is only a small dot, we can still survive. He was the prime minister of Singapore from 1959 to 1990. During his long rule, Singapore became the most prosperous nation in Southeast Asia. Lee kuan yew was now the minister mentor of Singapore ever since 12th August 2004 when Goh Gok Tong stepped down into Senior Minister and his elder son Lee Hsian Loong took over the place of Prime Minister. However his words now still carry much weight with the public and the cabinet and is always ready in use . Alhough his position is different now but he is still treat with respect and admiration. Hajja fatimah was a malaccan born tradeswomen. Her family was very well-known amongst Singaporeans in those days. She got married to a Bugis prince who was from the Celebes. She was so wealthy that she would be, at times, called Sultana of Gowa. Unfortunately, her husband had died when she was very young age. Therefore, she had to continue her husband’s business alone. She had a large trade and owned many vessels and perahus. She also knew many Rajas from the homeland of her husband. This gave her a chance to make more money. And thus, the business flourished. Hajja Fatimah had built her home at java road in kampong glam. This was a place where many glam trees grew. Those trees produced medicinal oil which had been used for several purposes. Her house had been ransacked twice and burnt on the second. This was very common in that period of time. She then decided to abandon her house and donate her money to build a mosque and several houses for the poor on the same land instead. The construction of the mosque took place from 1845 to 1846. She had by then, moved to a new place where she built a new home for her family. Hajjah Fatimah, who was away when the arson attack occurred, was so relieved to have been spared any injury that she used the piece of land for a mosque. She had also built some houses for the poor. Her daughter, Raja Siti had been married off to Syed Ahmad Bin Abdul Rahman Alsagoff who was the son of an Arab merchant. Syed Ahmad was a rich and wealthy trader.
. Hajja fatimah passed away at the old age of 98. She is buried behind the mosque in a private enclosure. The body of her daughter and her husband has been buried together with her behind the mosque also. Masjid Hajjah Fatimah was gazetted as a National Monument on 6 July, 1973. Today the mosque is owned by MUIS (Majilis Ugamg Islam Singapura). Ii’m sure Hajjah Fatimah has had lived her life to the fullest, helping everyone she could. She would certainly be remembered for the generations to come. The minaret tower (centre) stands between the inam's residence (left) and the main entrance (right). John Crawfurd was born in Scotland to physician John Coutts Antrobus and Fanny Swetenhem, studied at Edinburgh University and appointed Assistant Surgeon in the medical service of the EIC in 1806. Posted to Penang two years later, participated the Java Expedition. Held senior posts including that of Resident of Yogyakarta. An avid collector of Indonesia antiques and manuscripts, later sold to the British museum. The first president of the Straits Settlements Association formed in London, in 1861, Died in the same year. As 2nd Resident from 1823-1826. A medical doctor by training, Crawfurd came to this part of the world in in 1808 under the banner of the East India Company(EIC). Like Farquhar, Crawfurd was no stranger to the political environment of the region, having mastered the Malay language and also learnt about the customs and traditions of the Malay aristocracy. The importance of cross-cultural competence in his work was highlighted after he became Resident in 1823, when he helped secure complete EIC sovereignty over the island. Singapore had up till then only been leased to the company by the Malay rulers who were here before 1819. His agreement with the Sultan and the Temenggong gave the company full nights to ownership of the island, and paved the way for development on an even larger scale. It was not Raffles but Crawfurd who made Singapore a British possesion. The new Resident received the necessary authorization from British India in early March 1824. His task was facilitated by the Anglo-Dutch Treaty Of London (17 March 1824), which among other things recognized the British position at Singapore. Crawfurd’s treaty with the Malay rajas was finalized on 2 August 1824, and secured the session at Singapore in full sovereignty and property to the East India Company, its heirs and successors. Crawfurd faced several challenges to his administration during his term of office. First, Raffles felt let down because Crawfurd did not appear to comply with his instructions for the island’s development. For example, Crawfurd legalized gambling and opium farms as a way of earning revenue. This infuriated Raffles, who had opposed a similar move by Farquhar. Another incident that put his abilities into question occurred in 1824, when cultivators of crops for sale in Singapore. Crawfurd felt that commercial farming was less reliable than the development of Singapore as a trading hub. It was only later, after much wasted resources and time, that he was proven right. In addition, some people felt that Crawfurd was not very approachable, as he was known for his impatience and outbursts of anger. A comparison made by the early settlers with his more popular predecessor would naturally make him more unpopular. Crawfurd had to deal with the fact that, till then, there was an absence at legally constituted counts in Singapore. The EIC was unable to create these counts because of two main reasons. First, the rights of sovereignty had not been obtained with respect to Singapore although Raffles’ 1823 Convention came close to that. Secondly, even after these rights were obtained by the Anglo-Dutch Treaty and the Treaty of Cession, the latter was satisfied by the British Parliament till 1826. It was only after such ratification that the British monarch could issue charters or letters patent to set up the judicial establishment. Till the arrival of the second charter of justice, Crawfurd’s administration of justice on the island was strictly speaking, illegal. He was compelled to assume an authority which he did not possess and his decisions were not legally binding; indeed, they left him open to prosecution in the Indian Courts in cases where punishment was inflicted. Crawfurd abolished the Magistrate’s Courts established by Raffles and replaced them with the Recorder at Penang on the legality of Raffles’ 1823 Regulations. The court of Requests was a small debts court presided over by the Assistant Resident, and the Resident’s Court decided all civil and criminal cases ‘on general principles of English law’. So far as local conditions and the ‘character and manners of the different classes of inhabitants’ permitted. Crawfurd wrote to the supreme Government about defiant and troublesome Europeans but received little help. They simply advised him to banish them. These conditions remained unaltered until the establishment of the Recorder’s Court in 1827 and in 1826, leading merchants as well as government officials were appointed Justices of the Peace, empowered to try civil and criminal cases. One of his main contributions to Singapore was in bringing about the transfer of the Straits Settlements from the EIC Office in India to the Colonial Office in London. If the Straits Settlements had remained under the direct jurisdiction of the office in India, progress might have been slower. The eventual transfer from India to London in 1867 greatly increased the prestige and attention given Singapore. It is through knowing these perceptions that we see how Crawfurd was someone who possessed a mind of his own. Not easily swayed by other people’s opinions, this quality of his proved essential when it came to bettering the fortunes of the new colony. Crawfurd is recognized for his outstanding administrative capabilities, without which Singapore might not have progress as far as it did then. He was actively involved in even the minute details in the island. It has suggested that his measures made Singapore a free port in the truest term, having abolished all charges and taxes for the use of the port. John Crawfurd died on 11 May 1868 aged 85 in South Kensington, London. After studying at Edinburgh; he became a surgeon in the East India Company’s service. After that, he resided at Penang for some time. His Local knowledge made him invaluable to the government of Java during the British occupation. John Crawfurd served as an envoy to Siam and Cochin-China. He also became the governor of Singapore in 1823. He was also elected president of the Ethnological Society. John Crawfurd wrote History of the Indian Archipelago(1820), Descriptive Dictionary of the Indian Islands and Adjacent Countries(1856), Journal of an Embassy to the court of Ava in 1827(1829), Journal of an Embassy to the courts of Siam and Cochin-China, exhibiting a view of the actual State of there Kingdoms(1850), Inquiry into the System of Taxation in India, Letter on the Interior of India, an attack on the newspaper stamp-tax and the duty on the paper entitled Taxes Knowledge(1836), and lastly a Malay grammar and dictionary(1852). Although Crawfurd was unsuccessful in several attempts to enter the British Parliament in the 1830s buut had the honor of being the first president of the Straits Settlements Association (founded in 1868),which was formed to protect the Coloney's interest stood as a testimony to his contributions toward Singapore’s early growth.Beyond Singapore, Crawfurd is remembered in the world of scholarship for his works on the region, based on his diplomatic missions and personal researches. Like Raffles, he was a Fellow of the Royal Society. In addition, he was also elected Fellow of the Linnean Society and Fellow of the Geographical Society, reflecting his wide interests in both the humanities and the sciences. In many respects, Dr John Crawfurd is a worthy model for later scholar-administrators of Singapore. 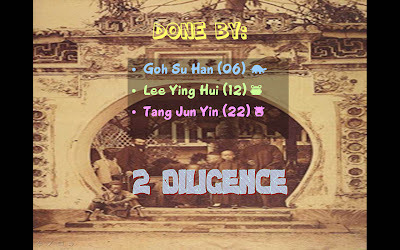 Done by: Geraldine Neo Poh Yan, Lim Celine and Michelle Tang 2diligence! Fong Swee Suan, 76, is a legendary figure among workers in Singapore from the 1950s to the 1960s era. He played an important leading role in the trade union movement and the anticolonial struggle in Singapore, earning him the enmity of the British colonial regime and its supporters. Fong Swee Suan was the Secretary General of the Singapore Bus Workers Union, which explains how he became involved in the Hock Lee Bus Riots in 1955, where workers demanded better working conditions. Together with Lim Chin Siong and other trade union leaders in Singapore, Fong Swee Suan was among the members of the People’s Action Party (PAP) in 1954 and also helped to mobilize workers’ support for the PAP. He was educated in Chinese in the Chinese High School in Singapore. Fong Swee Suan was born on 27th October 1931. His grandparents came from China and had migrated to Singapore in hope of having a better life here. Life in China was hard and his grandparents were poor and had to live in poor living conditions with poor sanitation. Food was also a problem. His grandparents then heard that coming to Singapore would get a better life. For the sake of the later generations, his grandparents then decided to leave their homeland. His Father and elder brother opened a laundry shop to earn a living. The business flourished. Many of the customers were mostly Malays. His mother, on the other hand, bought a piece of land to grow fruit trees and plants as cash crops, so that the family could earn a bit more money from the produce. This resulted in causing the family to live separately. To him, his mother was a big influence to him as she had taught him right values and good character. Although he did not come from a wealthy family, he studied hard and did not give up. Unfortunately, he was halfway through his education when the World War II started. When World War II ended, he continued his education in primary school, studying in Primary Four. However, he was much older than his classmates who were studying in that level. He continued to pursue his studies and graduated in 1948. In 1949, he left home to further his studies in Chinese High School but transferred to another school in Singapore to continue his classes. He was admitted to the second year and went into a class with Lim Chin Siong. He was already 20 years old that year. Swee Suan participated in many strikes including an examination strike. When he proceeded to study in his third year, he was expelled from school because he joined many of the student strikes. After he left school in 1950, he became a Secretary in the Singapore Bus Workers’ Union. He was then promoted to a higher position in April 1953. He met Lee Kuan Yew for the first time in 1954, through a friend. On 21st November 1954, PAP was officially opened. Fong Swee Suan was also elected as a committee member. In May 1955, he initiated and lead in the Hock Lee Bus Riot. The services of bus transport were severely disrupted paralyzed as buses were prevented from leaving as the strikers formed human barriers by sitting on the ground. It was on the 23rd of April when the workers of the Hock Lee Amalgated bus Co, who were members of the pro-communist Singapore Bus Workers’ Union [SBWU] went on strike. The head of the SBWU, Fong Swee Suan declared an official strike, urging all bus companies to stage a sympathy strike if the dispute was not settled. The dispute escalated when the Hock Lee Bus Company retaliated by dismissing 229 workers, belonging to Fong Swee Suan’s Union. Strikers went on hunger strike and picketed the depot. On April 23, 1955, workers from the Hock Lee Amalgamated Bus Company and some Chinese students began to go on strike. They were members of the Singapore Bus Workers' Union (SBWU) and were protesting against poor working conditions, long work hours and low pay. They also felt threatened by a rival union which was supported by the bus company to counter any labour action by SBWU. The strikers stopped the buses from leaving the depots and crippled the country's entire transport system. In a show of support, students from the Chinese Middle schools came in busloads to join the strikers. They organized donation drives, brought food and money, and even entertained the workers with songs and dances. Other workers also expressed support. The police attempted to disperse the picketers many times. On April 27, 1955, police tried to break up the strikers and injured 15 people. This gained more public sympathy and support for the strikers. On 11th June 1955, he was arrested with the rest of the leaders who lead in the riot. They were accused to have started the main strike. They were in detention for a total of 15 days. Many people objected and were then released. In 21st September 1956, he was appointed as the vice-chairman of the Association of Workers’ Singapore Industry. This Association was set up on the 22nd May 1954. in 21st September 1956, he led a seven member representative group to see a minister, Lim Yew Hock, to discuss about the matter where the chairman of the Industry Association, Lim Zhen Guo, was arrested. On 27th October 1956, Lim Yew Hock, decided to arrested all the people involved in all the strikes as there were too many strikes, thus resulting in another arrest of Fong Swee Suan. Arrested together with him were 200 other communists such as Lim Chin Siong, Chengara Veetil Devan Nair. Lim Yew Hock also destroyed the Middle Road Union Workers’ Party. Students involved were also dispersed. In 1957, at Changi Detention Centre, Lim Chin Siong and other communists signed a treaty written by Chengara Veetil Devan Nair. 4th June 1959, the communists were released from the detention centre. After they were released, the held a conference with reporters and answered the reporters’ questions. They also spoke of a new strategy after Singapore’s independence, which included Singapore’s responsibility and policy. After expressing their views on this issue, they became very popular amongst the people. In 1959, he was appointed as the government secretary of the ministry of manpower and the dispute secretary of National Trades Union Congress of Singapore (NTUC). On the 18th June 1960, Wang Yong Yuan challenged to be a leader of a party. So Fong Swee Suan, together with other communist parties, supported the Central party. After Fong Swee Suan criticized the manpower policy in PAP, he was transferred to become a politic secretary of the deputy prime minister’s office. July 1961, he objected to the idea of merger with Malaya. He broke off from PAP because of this1 objection. September 1961, he was appointed as the Singapore Socialism. At the same time, he was also the advisor of many other parties. On 2nd Februry 1963, he was arrested for the third time. He was being brought to Malaya, with a short detention in Kuala Lumpur and then transferred to another detention centre in Muar. He was there for 4 years and 6 months. On 25th August 1967, he was released before the 10th anniversary of Malaya’s independence. He received his O’level and A’level certificates during his detention period. In 1968, he became the Administrative Assistant of the Kuala Lumpur central sugar factory. On 1970, he moved to Johor and became a branch manager of De Cheng Machinery Pte Ltd. On 1976, he set up You Lian Machinery Pte Ltd. The business involved heavy machinery and estate investments. On 1991, he got his Bachelor of Arts from Kensington University. He retired on 1996 and continued on an arts research and got an MBA and a PhD degree from another university. He has three children, his eldest daughter, Xiu Min is an architect. His eldest son, Fang Yong Jin, is a mechanical engineer. His youngest son, Fang Yong Zheng, is an electrical engineer. On 12th May 1955, later known as "Black Thursday", a major riot broke out in the streets of Alexandra Road and Tiong Bahru. The police tried to break up the 2,000 students and strikers using water cannon and tear gas, but the crowd retaliated by stoning the policemen and buses. In total, two police officers, a student and an American press correspondent, died and many more were seriously injured. The police managed to stop the violence by the next morning. Later, Hock Lee Bus Company and the SBWU signed a ruling issued by the Court of Inquiry. The strikers' jobs and pay were restored and they declared victory for their action. However, because of the unexpected violence, public opinion became more critical towards the rioters. The Chief Minister of Singapore, David Marshall, took action. He expelled student leaders involved in the rioting and closed down two schools where the most students had been involved. However, the students were defiant. On 16 May 1955, about two thousand students forced their way into the two schools. Anxious parents, friends and supporters came daily to give students food, clothing and money. Marshall had no choice but to give in. He re-opened the two schools and allowed the expelled student leaders to return to school. He also blamed the pro-communists for the unrest saying, "The patterns of action of the demonstrators conform to Communist techniques." The British authorities were critical of Marshall for not taking tougher actions towards the rioters and strikers. They would later reject his proposal for independence in 1956, claiming that the local government was not able to manage internal security. Done By: Joycelyn Moh (10), Cheryl Tan (21), Wong Ting Yen (25), Yip Zhi Yi (26) 2 diligence! William A. Pickering was the first Protector (one who protects) appointed by the British government to administer the Chinese Protectorate (an administrative body responsible for the well-being of the Chinese residents during the territory's British colonial period.) in colonial Singapore. He was the first European official in Singapore who could speak fluent Mandarin and Hokkien. He had gained the trust of many Singapore Chinese. His efforts went a long way towards controlling the problems posed by the secret societies then. Pickering Street in Singapore's Chinatown is named after him. Before being appointed as the Chinese Protector, he had served a 10-year term in Hong Kong's Chinese Maritime Customs Service. Therefore, he could speak many Chinese dialects such as Cantonese, Hakka, Hokkien, Foochew, Teochew and Mandarin itself. Singapore's Governor, Sir Harry Ord, came across William Pickering in 1871 when he was back in London on leave. Ord was taken aback by Pickering's fluency in Chinese dialects. At the same time, the British Government in Singapore had difficulties communicating with the Chinese as most officials were ignorant of Chinese culture and language. This had caused many Chinese to join secret societies resulting in turf wars and other disturbances that threatened the stability of the settlement. With all these, Ord hired Pickering on the spot. Thus, Pickering departed for Singapore in January 1872. When he had arrive in Singapore, he was shocked by how the Chinese there refered the British judges as 'devils', police as 'big dogs' and Eurapeans in general as 'red-haired barbarians'. Also, there was a 'post-office riots' between the Hokkiens and Teochews over who had the right to send money and letters back to China. He used an unusual technique to quell the riots, which was to walk up and down the streets playing his bagpipes. This often attract the Chinese onlookers attention, causing the riots to subside. He would then help to sort out the differences with his command of dialects. He also played a part in putting an end to the incessant troubles between the Ghee Hin and Hai San who had engaged in open warfare over the tin fields at Larut since 1861. When Sir Andrew Clarke (a governor of Straits Settlement) wished to gather the two heads of both societies for a peace conference, he first sent Pickering to Penang. The seeds of peace thus informally sowed. However, his dealings in quelling the riots upset some of the secret societies. 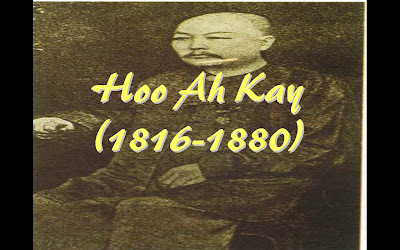 In 1887, he was attacked by a Teochew carpenter, Chua Ah Siok, who was sent by one of the secret societies, the Ghee Hok Society, to kill him in retaliation for Pickering's constant meddling in business. The end of the axe blade struck Pickering on the forehead, causing serious injury. However, Pickering survived. He also wrote an account of his time in Taiwan called the Pioneering in Formosa. He was also sent to Sungai Ujong, Negeri Sembilan by the British in Malacca to aid a British ally. He successfully commanded 160 troops in 1874 to remove possible resistance leader in Sungai Ujong. In 1889, Pickering retired as Protector in 1889 due to complications from the attack by Chua. He died on 26 January 1907. Edmund William Barker (b. 1 December 1920, Singapore - d. 12 April 2001, Singapore), a.k.a. E. W. Barker, was a prominent local politician. Edmund (Eddie) William Barker was born on the 1st of December, 1920. He was educated at Serangoon English School and Raffles Institution. There, he contributed much. School captain, head prefect, and champion athlete in 1938. He represented the school in cricket, hockey, athletics and badminton, and later in Raffles College, he added rugby to the collection. Outside school, E.W. Barker played sports like cricket and hockey for the Singapore Recreation Club (SRC) between 1934 to 1941, when the SRC was almost the strongest team in Singapore. As a hockey player, young Edmund Barker, along with Reggie Thoy, were one of the first schoolboys to be chosen to play on a national level. Achievements: Not only establishing himself as both sportsman and leader in his schooling days, but also much of scholar. Being awarded the prestigious Queen's Scholarship in 1946 a testament to his skill. Two years later, he graduated with honours in law at St. Catherine's College, Cambridge University. And if the demanding law degree was not enough, Edmund Barker still played sport at the university, winning the badminton blue at Cambridge. Mr Barker returned to Singapore and practiced law from 1952 to 1964. He was elected as the MP for Tanglin in 1963– a post he held firmly until 1988, returning without opposition in recurring general elections. That same year, he was also serving as the speaker of the Singapore Legislative Assembly. Being a politician, he was committed wholly to the people of Singapore and its progress, being a notable leader of the House for around 15 years. His political portfolios include being Minister for Labour, National Development, Science and Technology, and Law. He was one of the longest serving of the Law Ministers in the Commonwealth. After separation, he took on the additional portfolio consisting of National Development. He is considered as one of the Old Guard leaders, and left office in 1988, after 25 years of service. In between the years of 1970 to 1990, he held other positions, like the first President of the Singapore National Olympic Council, President of the South-East Asia Peninsular Games Federation Council, Chairman of Bukit Turf Club, and Chairman of the Singapore Stock Exchange. Minister for Law and Labour, Minister for Law. After retiring himself from the world of politics, Mr Baker remained an active citizen, serving on boards of several public and private corporations. But sports were still very much the first love of his, and rightfully so, the sporting fraternity fondly remembers him. Being a dedicated team player in his competitive days, he was a sport administrator and leader. He also served as the president of the Singapore National Olympic Council for two decades since 1970, and being active in the organizing committee in Singapore's successful hosting of the 12th and 17th South East Asia Games. Mr Barker was an honorary member of the SEA Games Federation. He was also responsible for the building of the National Stadium in Kallang, seeing as he persuaded the government to allocate the land and financial resources for it. In respect to his contributions to the development of sport in Singapore, Mr Barker was presented the Olympic Order (Silver) by the International Olympic Committee in 1985, and the Distinguished Service Award of the USA Sports Academy in 1983. Barker was the son of Clarence Barker and Dorothy Evelyne Paterson. He was married to Gloria Hyacinth Quintal and had four children. He was in good health until April 2000 when he was hit by a series of medical problems. He died on 12 April 2001 at 12:40 pm at the National University Hospital, after two months of intensive care following an emergency colon surgery in February 2001. Legacies:Mr E W Barker, former Minister for Law and President of the Singapore National Olympic Council (SNOC), was awarded the Olympic Order (Silver) for his outstanding merit in the cause of world sport and faithfulness to the Olympic ideal in 1986. His was the first award given to a Singaporean. "These are Singaporeans content to play, happy to be good enough to be selected for a Raffles side, a SRC team, and better still, the state eleven. To this army of sportsmen, the satisfaction comes in the playing or in the service they can give to club, association or country. If in playing their best, the applause came, they took it like bonuses freely given. The bonuses were many for young Eddie in the days of his prime." In remembrance of Mr E. W Barker, and his contributions as statesman, scholar, sportsman and supporter of sports, it was proposed that a professorship and scholarship be named in his honour. The professorship and scholarship seeks to continue Mr. Barker's legacy and involvement in sport and physical activity. Mr Barker was, and had always been, in the driving seat promoting and nurturing the sport scene in Singapore. In the several reports on sports in Singapore that were made, including the recent CoSS report, recommendations for the need to nurture effective sporting bodies, building a sports industry, promoting sport for all, and developing sporting excellence have been made. Much needs to be done in each of these areas, and research, understanding and development of best-practices in these areas are clearly essential. Singapore has a number of people who have contributed to it’s progress. E.W. Barker is one of them. He comes across as an extremely passionate man, contributing endlessly to the progress and development of our nation, our youths, and inspired the common citizen. He was able to achieve much during his youth, of which, we think, reflect his already apparent passion and indifference to ordinary limits. Nothing hindered his achieving, and it is apparent that we should follow his spirit of perseverance. Even after retirement, he continued to contribute, to causes that he had the foresight to see were necessary. It is probably a hope of those who had known him, heard of him or have been inspired by him, that future generations will channel the very same spirit of passion and achievement, for the sake of furthering society’s progress, and that of the nation. And it is obvious that E.W. Barker’s founding of the further development of the areas which inspired him will see to this. Whos who in Malaysia and guide to Singapore. Kuala Lumpur: V. V. Morais. Old guard Stalwart Eddie Barker dies. (2001, April 13). The Straits Times, p. 1. The reluctant politician. (2001, April 13). The Straits Times, Home, p. 2. Kind, friendly and a real gentleman. (2001, April 13). The Straits Times, Home, p. 3. Breadwinner. (1970, May 8). The Straits Times, p. 6. Syed Omar Al-junied, his full name Syed Sharif Omar bin Ali Aljunied, the patriarch of the Aljunieds now living in Singapore, was born in Hadramaut, Yemen in 1792. Although much of his family background and childhood years are not known, it is clear that his ancestors, being the descendants of the Prophet Muhammed, established themselves as traders in Southeast Asia long before immigrating to Singapore. One such member of the family was Syed Sharif Omar al-Junied and his uncle, Syed Mohammed bin Harun Aljunied, were probably the first Arabs to come to Singapore. The first in the family to leave Yemen, Syed Omar travelled to the East in 1816 in his effort to spread the Muslim faith. But when he landed in Palembang, Sumatra, through hard work, he became a successful trader in spices. His fame in Palembang was not only as a merchant but also as a direct descendant of the Prophet Muhammed, for which he was honoured with the title of “Pengeran Sherif “or "Prince" of the Malays. He was well-known as a leader of the Arabs in the Malay Sultanate in the East, an upright and honourable man. Syed Mohammed managed to set up business by June 1819, just four months after the founding of Singapore in 1819. Syed Omar soon followed and established himself as a businessman as well as an important leader of the Arab community in the East. He was personally welcomed by Stamford Raffles who was eager to court the wealth of the Arab traders who had then established a flourishing trade between the Far East and the known world. The Arabs in turn were attracted to Singapore's free port which contrasted with the heavy duties charged at ports held by the Dutch. The Aljunieds along with the Alkaffs and Alsagoffs were the three most prominent and wealthiest Arab families in Singapore for some time. The Aljunied Islamic School (Madrasah Aljunied Al-Islamiah) built in 1927 is attributed to one of the Aljunieds, Syed Abdul Rahman Aljunied. Large sums of money were also contributed by the family for the building of the Town Hall. The business moved to 737 North Bridge Road under the name Toko Aljunied which meant “Aljunied’s shop”, long famous for its atar, an alcohol-free perfume preferred by Muslims. The family also started the House of Batik. With the support of Raffles, the Aljunieds profited a plot of land between High Street and the Singapore River. Soon after arriving in Singapore, Mr. Syed Omar built a house near the junction of High Street and North Bridge Road. He imported spices from Indonesia and exported them to the Middle-East and London, and imported cotton from England under his own brand name, then sent them to Indonesia for batik printing. With his acute sense for business, Mr. Syed Omar’s wealth grew. Just as his business flourished, the charitable side of Mr. Syed Omar also became known and much appreciated. One of his biggest contribution to Singapore was his giving away of the land and the Masjid Kampong Melaka (Masjid Omar Kampong Melaka or Malacca Mosque) in Chinatown which was the first place of worship constructed in Singapore. In 1981 to 1982, after almost a hundred years of use, the original structure of a temporary timber building, was demolished and reconstructed into a brick mosque that had a tall minaret with a small roof dome which was added at the entrance of the mosque. This reconstruction coincided with the laying of a new road through Kampong Malacca which brought worshippers from the surrounding area. Today, the mosque is in much the same state as it was after the last reconstruction — a simple building that is well complemented by its surrounding space. With a sitting capacity of about 1,000 people, it is the focal point for office workers during daily and Friday prayers. He also gave away the land for the St Andrew's Cathedral and the land for Dr Tan Tock Seng paupers' hospital which later became Tan Tock Seng Hospital and was resited to Moulmein Road. Mr. Syed Omar did too donated a large burial ground at Jalan Kubor off Victoria Street and built another mosque in Bencoolen Street. Large wells with granite sides were also dug behind Fort Canning, Selegie Road, Pungulu Kisang and Telok Ayer with the rest of the Aljunieds to supply water to the early residents of Singapore. When Mr. Syed Omar died on 6 November 1852 in Singapore, he left behind five sons and several grandchildren. He was buried with his uncle Syed Mohammed at the Syed Omar Cemetery. The family business was then carried on by his nephew, Mr. Syed Ali who was a community leader in his own right, contributing land and money in the spirit of the Aljunied clan and his son, Mr. Syed Abdullah Omar. For Mr. Syed Ali, One of his earliest contributions was the building of four community wells at his own expense and the donation of land for the Bukit Wakaff Cementery at Grange Road. Mr. Syed Ali was also a philanthropist. He is best known for filling in a swamp purchased by his father, Mr. Syed Mohammed, who was also Mr. Syed Omar’s uncle-land that would become Weld Road and Jalan Besar. Three bridges in the area were also built at his expense. As for Mr. Syed Abdullah Omar, he was the one who rebuilt the Masjid Kampong Melaka, and named the road next to it after his father - Omar Road. The family home was eventually sold and the Aljunieds moved to a new house in Balestier Road owned by Mr. Syed Omar's other son, Mr. Syed Abu Bakar Omar Aljunied. Mr. Syed Abu Bakar is one of the Founders of the Singapore International Chamber of Commerce and the only non-European member on the Board of Governors of the Singapore Harbour Board, now known as Port of Singapore Authority, in its pioneering years. Mr. Syed Abu Bakar later passed on the house to his daughter, Sharifah Alawiyah Abu Bakar Aljunied. Madam Sharifah is the wife of Mr. Syed Abdul Rahman Junied Aljunied. Mr. Syed Abdul Rahman is the Founder of the Aljunied Islamic School in Victoria Street. Their contributions are recognised not only in the naming of Masjid Omar Kampong Melaka after its founder but also in the naming of Syed Alwi Road in Serangoon and Aljunied Road in Aljunied. Aljunied Road which is now a sub-urban area located in the eastern part of the city-state of Singapore was officially named in 1926 after either Mr. Syed Omar or his family members. Aljunied Road was formally a piece of agricultural land which has since been heavily urbanised and presently comprises a variety of landuses. Today, Aljunied is a bustling neighbourhood with HDB flats with amenities like shops, schools, parks and recreational facilities. The area also has a constituency, the Aljunied Group Pepresentation Constituency (Aljunied GRC) with five Members of Parliament sitting in the Parliament of Singapore. Aljunied GRC was hotly contested in the 2006 general election. Currently, there are about 300 Aljunieds living in Singapore. True to tradition, the Aljunieds continue to prosper in Singapore and the region. Like their forefathers, they have carried on the practice of giving to society what they have gained from it. The Alkaff Mansion and Arab institution in Singapore are permanent reminders to Singaporeans of the affluence, the business acumen and contribution of the early Arab families toward the development and prosperity of Singapore. Their descendants are continuing their contribution to our Republic. We should also never forget Mr. Syed Omar, the patriarch of the Aljunieds in Singapore, who was unforgettably an Arab spice trader and businessman, philanthropist and important leader of the early Arab community. Lim Nee Soon (b. 12 November, 1879 Singapore - d. 20 March 1936, Shanghai, China), planter and general merchant. 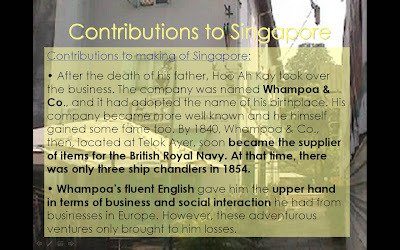 Educated in Singapore, on completion of his studies, he worked for various organizations until 1911 when he founded his own company, Lim Nee Soon & Co. A rubber and pineapple planter and rubber factory owner, his businesses soon were a booming success. He was one of the pioneers of rubber planting along with Tan Chor Nam (1884-1971), Lim Boon Keng (Dr) (1869-1957), and Tan Chay Yan (1871-1916). He was consultant to other rubber estate owners, and played an important role in the development of rubber plantations in Nee Soon. His big investments in the pineapple industry won him the nickname "Pineapple King". He was a generous charitable benefactor with a keen interest in social and community matters. A respected community leader and, one of the most influential businessmen of the day, he was made a Justice of the Peace (1925). Lim Nee Soon, a Teochew, was born in Beach Road in Kampong Glam, Singapore, on 12 November 1879. His grandfather, and father Lim Peng Nguan arrived from Chao-chow-fu (Swatow), China, in a junk, in the 1860s, and became a sundries trader, in Beach Road. Lim Peng Nguan married Teo Lee's eldest daughter, but he died in 1887, and left his son Nee Soon, then eight years old in the care of his maternal grandfather, Teo Lee (1833) who provided the young orphan boy with a sound Chinese and English education. As a Straits-born Chinese Baba, he was popularly known as Bah Soon, and because of that, Bah Soon Pah Road is named after Lim Nee Soon. The young lad was first educated in English at St. Joseph's Institution, and then later, at the Anglo Chinese School. We have no details of his Chinese education. Nee Soon's first job was with timber merchants, Messers. Tan Tye & Co. He took great interest in rubber planting, and in 1904, was an assistant manager in Tan Chor Nam's rubber estate. His next job was acting manager of United Singapore Rubber Estates Ltd. In 1909, when Sembawang Rubber Estates was formed, Nee Soon became its first General Manager, and later, its Consultant. He resigned in 1911 to start his own business as a rubber and pineapple planter and rubber factory owner. He was consultant to other rubber estate owners too, and by then he had already engaged in business as a merchant, contractor, and general commission agent. Henry Nicholas Ridley (b. Norfolk 1855 - d. 1956, Kew, Surrey, England), Director of the Singapore Botanic Gardens, developed an improved rubber-tapping technique, and he was the strongest advocate of rubber-planting as a crop. Early this century the automobile industry boomed and rubber tyres were in great demand. In 1910, the government opened more than 2,000 acres of reserved land in Nee Soon to encourage rubber-planting. Rubber was Malaya and Singapore's export wealth for more than 50 years. In the wake of declining fortunes from gambier an pepper, Lim converted large tracts of gambier and pepper plantations in Yishun into rubber and pineapple ones. In 1911, Lim founded Lim Nee Soon & Co., chop Thong Bee, with an office at No 5 Beach Road; and in 1912, he built a row of shophouses and dwellings at Sembawang Road, and established chop Thong Aik Rubber Factory in Kangkar(chop refers to the traditional seal or official stamp bearing the Chinese characters of a company name, used for legal endorsements etc.). His businesses quickly flourished. He owned large rubber estates, 6,000 acres of rubber plantations in Singapore, and more than 20,000 acres in Johore and other small estates. In 1913 he started Nee Soon Rubber Factory in Choa Chu Kang, and also cultivated pineapples which was a good inter-crop with slow-growing rubber trees. His great interest in the pineapple industry won him the nickname, "Pineapple King". His generosity is remembered during the World War I, when he presented pineapples to the officers and men of H.M.S. Malaya during the ship's stopover in Singapore. For his liberal pineapple gifts to the troops, he received special acknowledgement from Brigadier-General Ridout. In 1918, his address was 33, Robinson Road, and in that year, he was also Director of many companies, as follows: Chinese Commercial Bank, Eastern United Assurance Co. Ltd. Ulu Pandan Rubber Estates Ltd., United Sawmills Ltd., Hanyang Plantations Ltd., and Kulim Plantations Ltd.
Chop Thong Aik Rubber Factory at Kangkar was renamed Nee Soon & Sons Ltd. Rubber Works. In 1928, "Rubber King" Lee Kong Chian took over Nee Soon & Sons Ltd., and renamed it Lee Rubber. In 1925, Lim was listed as one of the founders, and executive of the following companies: Overseas Chinese Bank (Chairman), Chinese Commercial Bank Ltd. (vice-Chairman), Overseas Assurance Corporation (Chairman), Eastern United Assurance Corporation Ltd. (Director), and Nee Soon & Sons (Chairman). Lim Nee Soon owned Marsiling Estates, Yunan Estates, and Eho Yuan Estates, all in Singapore. By 1924, a large area along the Seletar River were his rubber plantations, and he also built shophouses and dwellings at Seletar Village which was eventually named Nee Soon Village after him. The list of his large holdings in Johore is unavailable. Lim took a keen and active interest in public affairs and was very charitable benefactor. 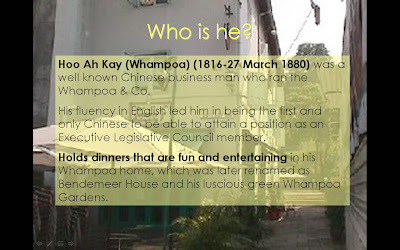 He was one of the co-founders of the Ee Hoe Hean Club, with Gan Eng Seng (1844-99) and Dr. Lim Boon Keng (1869-1957). He donated burial land for the Chinese community at Seletar. In 1915, during the Singapore Mutiny, Nee Soon succeeded single-handed in persuading six mutineers to surrender to the government without resistance. He was made a Justice of the Peace in 1925. He was also a member of the Singapore Rural Board (1918-1925), and Member of the Reformatory Board (1918-1925), and served on the committees of Raffles College and St. Andrew's Medical Mission Hospital. Mr. Tan Kah Kee and Lim Nee Soon founded the Chinese High School, the first Chinese secondary school in Singapore, which opened on 21 Mar 1919. He had donated $10,000 to the school's building fund, and, from its beginnings, was made the school's treasurer. In 1919 too, he was made President of Thong Chi Yi Yuen Hospital. He was President of the Singapore Chinese Chamber of Commerce for two periods, from 1921-1922, and 1925-1926, and a Member of the British Malaya Opium Committee in 1924. With other Teochew leaders, they formed the Singapore Teo Chew Poit Ip Huay Kuan in 1929. He travelled extensively in the Far East, and visited China several times. In 1916, he had the honour of an audience with President Li Yuen Hung at Tientsin, and during this visit, he witnessed the North China great flood. In that same year, he also had an audience with acting President Feng Kuo Chang in Peking, and ex-President Dr. Sun Yat Sen (b. 12 November 1866, Zhongshan, Guangdong, China - d. 12 March 1925, Dongcheng, Beijing) in Canton, where he also interviewed Premier Tuan Chi Jui. In 1925 he was Honorary Adviser to the President of China, and to the Ministry of Agriculture and Commerce, in Peking (today's Beijing). Sons: Three sons; the two elder sons, the eldest Lim Chong Kuo (Chong Kuo Road was named after him in 1955) and Lim Chong Pang (b. 6 June, 1904 Singapore - d. 1956, Singapore; married Lee Poh Neo, and Chong Pang Village is named after him) were first educated at St. Andrew's School in Singapore, and later at Stephen's College in Hong Kong. After their studies, they returned to Singapore to help in their father's business. Chong Kuo married a daughter of Tan Kah Kee. The other son was Chong Min. Daughters: Six daughters, three married at the time of his death; Mrs Oei Tjong Tiong, Mrs See Bong Him and Mrs Tan Tuck Hoe. The others were Mui Gek, Lek Gek and Seok Gek. For his services and efforts in promoting Chinese industries abroad, the Peking (today Beijing) Government awarded him the 2nd Class Order of Chiaho Decoration (Excellent Crop). He had been unwell, and was on a holiday trip. He was heading home from China, when he died in Shanghai, on 2 March 1936, at the comparatively young age of 57. His embalmed body was to have been brought back to Singapore by his eldest son, Lim Ching Kuo, but the Nanking (today Nanjing) Government expressed their desire to give Lim Nee Soon a State funeral, and have him buried in Nanking, near the mausoleum of his old friend Dr Sun Yat Sen.
Lim Nee Soon has always been recognized by all Chinese as one of the best friends of great revolutionary leader, Dr Sun Yat Sen , whom he befriended and helped with funds to set the revolutionary forces on the uprising against the Manchu feudal rule in China. The Manchurians ruled China for 267 years during the Qing dynasty, until the revolution led by Dr. Sun Yat Sen overthrew the Manchus and brought about the birth of the Republic of China on 1 January, 1912. In 1904, Lim Nee Soon contributed $50,000 to found the revolutionary newspaper, the T'oo Nan Daily (Thoe Lam Jit Poh). In early 1905, Dr Sun Yat Sen stumbled upon the Thoe Lam Jit Poh 1905 Almanac, superscribed with a motto urging Chinese nationals 'to relieve themselves of Manchuria's control in China'. It was produced by Singapore Chinese sympathizers, Tan Chor Nam (b. 1884, Singapore - d. 1971, Singapore), Teo Eng Hock (b. 1871 Singapore - d. 1958, Singapore) and his nephew Lim Nee Soon. He wanted to meet them. On 6 April 1906, at Wang Ching Yuan House (the former name of Sun Yat Sen Villa), Dr Sun started a political party, the first Singapore branch of the T'ung Meng Hui (Chinese Revolutionary League), with co-founders Tan Chor Nam as chairman, Teo Eng Hock , and his nephew Lim Nee Soon, Hsu Tzu Lin, as office bearers. Their main activities were to create awareness of the revolution and garner support from the overseas Chinese people, collect funds to help fight the cause, and assemble volunteers to join in the uprisings. In the fall of 1907, they produced the short-lived newspaper, the Chong Shing Yit Pao (Chong Shing Daily) with Nee Soon as its manager. It failed due to people's concern of showing open support for the revolution, as they feared arrest on their return home to China. On 15 December 1911, Dr Sun Yat Sen made his last visit to Singapore, and Nee Soon was among the local leaders, who entertained Dr Sun and his entourage. After Lim Nee Soon's death, his son Lim Chong Pang, related much of this story in the Sunday Times of how Nee Soon had played a part in the birth of the Republic of China. The T'ung Meng Hui was reorganized as the Kuomintang, and its Singapore branch in 1912 had Dr Lim Boon Keng and Lim Nee Soon among the first office-bearers. Nee Soon Village, Nee Soon Road, Bah Soon Pah Road were named after him. In line with the education and use of Mandarin as the official Chinese Language, much of Singapore's names in Chinese dialects were translated to Pinyin, so the 'Nee Soon' place names became Yishun! A statue of Lim Nee Soon stands in his honour, at Yishun Town Park. On the ship Ann off the coast of Jamaica, was Sir Thomas Stamford Raffles’ birthplace. It was 6th July 1781. His father, Benjamin Raffles, was a captain in the East West Indies trade. Little is known of Raffles' parents. His family was poor and was forced to leave school when his father died being involved in the slave trade in the Caribbean. Although he was only 14, Raffles had to work as his family was in debt. He started working as a clerk in London for the British East India Company, the quasi-government trading company that shaped many of Britain's overseas conquests. He was sent to Prince of Wales Island (now Penang in Malaysia) in 1805, starting a long association with Southeast Asia, working as a Assistant Secretary under the Governor of Penang (Philip Dundas). Prior to that, he married Olivia Mariamne Devenish, a widow whose ex-husband was Jacob Cassivelaun Fancourt. Jacob was an assistant surgeon in Madras who died in 1800. In the meantime, Raffles developed a good friendship with Thomas Otho Travers. Due to him being fluent with the Malay language, he was imperative to the British Government, and he was later given a post as Malay translator to the Government of India. When the British navy invaded Java to ‘dispose off’ Dutch and French traders in 1811, Raffles went along and was made Lieutenant governor of this multi-island colony. He was soon promoted to Governor of Bencoolen (now Sumatra). His wife passed away in 1814. In 1816, ill health forced him to return to London. He won an election to the Royal Society and a knighthood due to his studies of East Indian people. He remarried to Sophia Hull in London. It was 1817. To safeguard British shipping to the China seas, Raffles conceived a plan to find a fort east of the Straits of Malacca by 1818. On 29th January, 1819, Raffles founded modern Singapore. • She lay in the main trading rout of India and China. • She had a deep harbor for big ships to anchor. • She had a plentiful supply of fresh water. There where only 200 people living in Singapore when Raffles first arrived, but in 3 years time, there were about 5000 people populating Singapore. Major William Farquhar, British Resident of Malacca, had been attempting to negotiate commercial treaties with the local chiefs of the Riau Archipelago, especially with the heads of the Sultanate of Johore. Due to the death and subsequent turmoil of the sultanate at the time of Farquhar's arrival, Farquhar was compelled to sign the treaty not with the official head of the sultanate, but rather, the Raja Muda (Regent or Crown Prince) of Riau. Noting it as a success and reporting it as such back to Raffles, Raffles sailed to Calcutta in late 1818 to personally secure a British presence in the Riau area, especially Singapura, which was favored by both him through the readings of Malayan histories and by Farquhar's explorations. Despite Lord Hastings' less-than-enthusiastic opinion of Raffles before (which had necessitated his trip to England to clear his name at the end of his tenure as Governor-General of Java), the now well-connected and successful Raffles was able to secure the permission to set up a settlement where the Malaysian name Lion City was applied and was in a strategically advantageous position. However, he was not to anger the Dutch, and his actions were watched closely. Despite the best efforts in London by authorities such as the Viscount Castlereagh to quell Dutch fears and the continuing efforts to reach an agreement between the nations that eventually became the Anglo-Dutch Treaty of London of 1824.He also sent instructions to Raffles to undertake far less intrusive actions, the distance between the Far East and Europe had meant that the orders had no chance of reaching Raffles in time for his venture to start. After a brief survey of the Karimun Islands on 29 January 1819, at the southern tip of the Malay Peninsula, Raffles established a free-trade post. It was confirmed that there was no Dutch presence on the island of Singapore. Johore also no longer had any control of the area, hence contact was made with the local Temenggong, or Raja. The contacts were friendly and Raffles, knowledgeable about the muddled political situation, took advantage to provide a rudimentary treaty between the nominal chiefs of the area that called for the exclusivity of trade and the English protection of the area. The members of Raffles' party surveyed the island and proceeded to request the presence of the sultan, or whoever at the time had supreme nominal power, to sign a formal treaty, while Major Farquhar was ordered to do the same in Rhio. A few days later, a man who claimed to be the "lawful sovereign of the whole of territories extending from Lingen and Johore to Mount Muar", signed the formal treaty. He was Tengku Long. Even though he had no previous contact with the British, he had certainly heard about the power of the British navy and hence was in no position to argue against the terms. Raffles, however, was able to convince the man and reassure him that the Dutch posed no threat in the area. As the Dutch were present, Farquhar's attempt to establish a more favorable treaty in Rhio was met with greater challenge. It made a rather awkward position. The Dutch were justifiably alarmed and sent a small contingent to the island. Despite a covert offer of subterfuge against the Dutch offered by the Raja of Rhio, Farquhar returned and an official protest was sent by the Raja to Java regarding the matter. On 6th February, Raffles announced the foundation of what was to become modern Singapore, securing transfer of control of the island to the East India Company. Much pomp and ceremony was done, and the official treaty was read aloud in languages representing all nations present, as well as the Malay and Chinese inhabitants. Farquhar was officially named the Resident of Singapore as Raffles was named as "Agent to the Most Noble the Governor-General with the States of Rhio, Lingin and Johor". Although ownership of the post was to be exclusively British, explicit orders were given to Farquhar to maintain free passage of ships through the Strait of Singapore and a small military presence was established alongside the trading post. After issuing orders to Farquhar and the remaining Europeans, Raffles left the next day, 7 February 1819. Raffles also planned to start a British presence in Achin, at the northern tip of Sumatra. As soon as he left, the Raja of Rhio sent letters to the Dutch, claiming innocence and a British encroachment. The Dutch in Malacca responded at once, and ordered that no Malays could go to Singapore. Raffles' bold claim of Singapore created a curious geographic situation where although Penang was clearly closer distance-wise to Singapore, Raffles, in his capacity as the Governor-General of Bencoolen, was in control. This undoubtedly irked the authorities in Penang to the point where they refused to send any sepoys to Singapore to complete the garrison. Before the end of the month, Official Dutch complaints came, and Raffles attempted to appease the situation by instructing Farquhar to not interfere with the politics of surrounding islands. Despite numerous threats and serious considerations by the Dutch Governor-General in Java, the Dutch did not take any military action. While in Singapore, Raffles readily established schools and churches in the native languages. Rather, he allowed for missionaries and local businesses to flourish. Certain colonial aspects remained the same: a European town was quickly built to segregate the population, separated by a river; carriage roads were built and cantonments constructed for the soldiers. However, no duties were imposed. Confident that Farquhar have followed his instructions well, he sailed for Bencoolen once again on 28 June. The plan of the town of Singapore, also know as the Jackson Plan. It was drawn by Lieutenant Philip Jackson. Raffles was pleased at the fact that Singapore had grown exponentially in such short years. The colony was a bustling hub of trade and activity. However, Farquhar's development work was considered unsatisfactory. Raffles was not pleased with the settlement’s haphazard growth, and his instructions to reserve land on the north bank of the Singapore River exclusively for the government had not been followed. To set things right, Raffles formed a Town Committee and issued a detailed list of instructions covering every aspect of Singapore’s future development on 4th November. Jackson had drawn up a general plan of the town by 1823. It was still a segregated plan, giving the best land to the Europeans, yet it was considered remarkably scientific for the time. It was also during the replanning and reconstruction of the town that allowed Farquhar to clash dramatically with Raffles. He considered Farquhar unfit for the position of Resident, so Raffles took direct control with a heavy hand. In 1823, Raffles instituted a code of settlement for the populace, and soon followed with laws regarding the freedom of trade. He also quickly instituted a registration system for all land, regardless of ownership, and the repossession of the land by the government if land remained unregistered. This act greatly asserted the power of the British government as it covered land previously owned by the Sultan as well. A police force and magistrate was then set up, under British principles. In a very short period of time, Raffles had turned a semi-anarchic trading post into a proper city with at least a semblance of order. In 1823, Raffles drafted the first constitution for Singapore, which followed a fairly moralistic stance, outlawing gaming and slavery. A specific regulation in the constitution called for the multiethnic population of Singapore to remain as is, and there shall be no crimes based on being a race. He then went to work drafting laws, defining on exactly "what" constituted a crime. On 9th July, 1823, feeling that his work on establishing Singapore was finished, he boarded a ship for home, but not before a stop in Batavia to visit his old home and adversary, van der Capellen. A final stop in Bencoolen ensued, and the journey back home was interrupted by a heart-rending experience as one of the ships caught fire off Rat Island, which claimed many of his drawings and papers. Upon arrival to England, Raffles was in poor health. Both Sir and Lady Raffles convalesced in Cheltenham until September, after which he entertained distinguished guests in both London and his home. Considerations to run for parliament during this time was made, but this goal was never realized. He moved to London at the end of November, just in time to have a war of words in front of the Court of Directors of the EIC regarding Singapore with Farquhar, who had also arrived in London. Despite several severe charges put upon Raffles, Farquhar was ultimately unable to discredit him and was denied a chance to be restored to Singapore, but he was given a military promotion instead. A day before his forty-fifth birthday, Raffles died in London, England. He died on 5th July 1826 due to apoplexy. His properties summed up around ten thousand pounds sterling, which was paid to the Company to cover his outstanding debt. Because of his anti-slavery stance, he was refused burial inside his local parish church (St. Mary's, Hendon) by the vicar, whose family had made its money in the slave trade. A brass tablet was finally placed in 1887 and the actual whereabouts of his body was not found until 1914 when it was found in a vault. When the church was extended in the 1920s his tomb was incorporated into the body of the building. The original bronze statue of Sir Stamford Raffles was sculptured by Thomas Woolner at a cost of $20,446.10. It was unveiled at the Padang in 1887. The statue showed Raffles's meditative pose with arms folded and was officially unveiled by the Governor of the Straits Settlements, Sir Frederick Weld on 27 June 1887 to celebrate the 50th Anniversary of Queen Victoria's reign (Queen Victoria's Golden Jubilee Year). This tablet to the memory of Sir Stamford Raffles to whose foresight and genius Singapore owes its existence and prosperity Unveiled on February 6th 1919 .The 100th anniversary of the foundation of the settlement. There is another statue of Raffles built in 1972 and is placed on the banks of the Singapore River where he first landed. With his back to the River, the white polymarble copy of the original bronze statue of Sir Stamford Raffles marks his first landing site on Singapore. From the banks of the Singapore river, you can catch a panoramic view of Boat Quay and the Raffles Place skyline behind, and marvel at the development and progress that has taken place since Raffles first landed. (There are similar inscriptions in Chinese, Malay and Tamil at each corner). In Singapore, a number of landmarks have been named after him: Raffles College, Raffles Institution, Raffles Hotel, Stamford Road, Stamford House, Raffles City and Raffles Place. There is also a Raffles Lighthouse located at the southwest of Sentosa Island, and a Raffles Place Mass Rapid Transit (MRT) station! On the southern corner of Raffles City stands a world's tallest hotel, "The 73-floor, 1,235 room Westin Stamford." An ancient hotel established since 1887 by Armenian brothers; Martin, Tigran, Aviet, and Arshak Sarkies, the Raffles Hotel was first a colonial bungalow known as Beach House before becoming Raffles Hotel. Raffles Hotel is one of the world's most famous hotels. It was declared a National Monument in 1987 and was reopened in 1991 after renovations. On June 5 1823, Sir Thomas Stamford Raffles laid the foundation stone of a building which he named 'Singapore Institution' which was later renamed Raffles Institution, in memory of its founder in 1868. One of the largest flowers in the world - the Rafflesia - was also named after him.